This is for everyone that hates decorating cookies but still wants a beautiful treat to share over the holidays. Initially I made this cookie because I had small leftover batched of sugar cookie and gingerbread dough left over in the freezer. A follower of mine had mentioned her fabulous neapolitan cookies and I thought why not make striped candy cane cookies with these doughs. It worked so well that I’m typing this up for you right now! I left these cookies undecorated but you can totally give them a drizzle of glaze of royal icing or press some sanding or white sugar into the dough before baking to add some sparkle, sweetness, and crunch. It’s really important to chill the gingerbread dough for a while, overnight is best and yes you can just pop it in the freezer, make sure you wrap it well! Laminated cookies are nothing new but so many times the layered affect is achieved with food coloring, which I’m not a big fan of although I do use it sparingly to tint my buttercreams. It’s easiest to roll out the chilled dough in between plastic wrap. That way you can give it a nice press with the rolling pin to glue the layers together and not have to worry about anything sticking to the counter. If things get too sticky just pop it in the freezer to chill out for a bit. 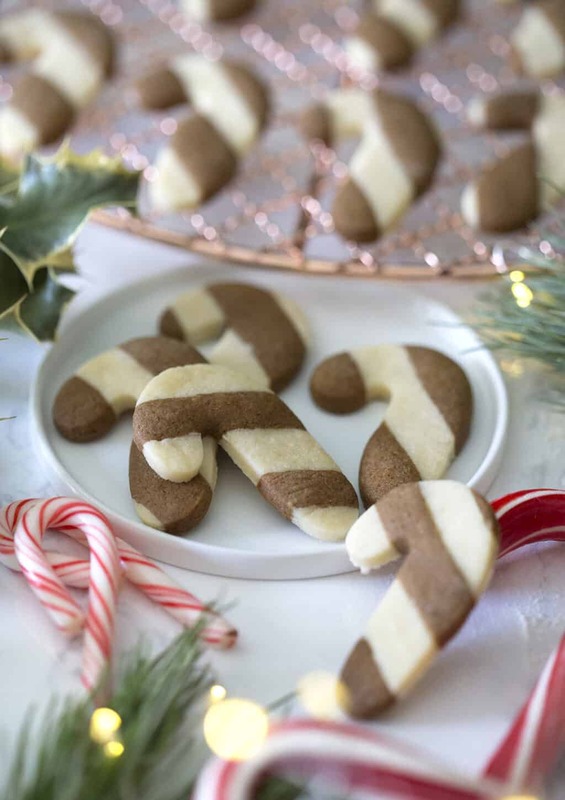 Use your leftover dough to create an incredible duo of gingerbread and sugar cookie candy canes! In a large bowl, combine flour, ginger, cinnamon, baking soda, nutmeg and salt. Cream butter and brown sugar in a stand mixer on medium. Mix until fluffy. Add in the molasses, egg and vanilla. Mix until combined. Mix in flour gradually until a nice dough forms. 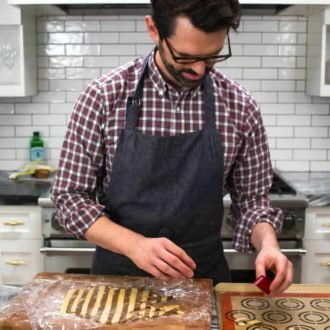 Roll into disks on parchment paper. 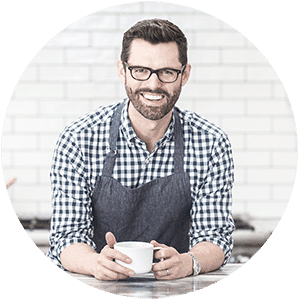 Refrigerate for 4 hours or overnight. This step is important because the dough gets soft quickly. Roll out both chilled doughs between layers of plastic or on a well floured surface to a thickness of about ½ inch- ⅓ inch. Cut ½ inch strips from doughs. 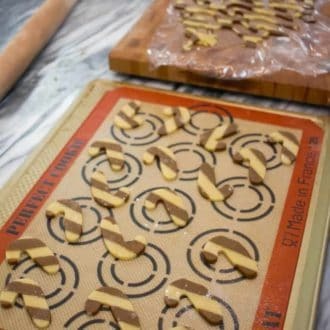 Place strips together, alternating gingerbread and sugar cookie strips. 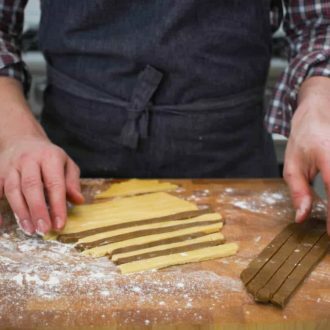 Gently roll the new striped dough. This will help the strips attach together. 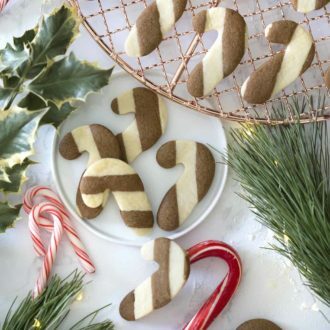 Cut out candy canes with cookie cutter. Bake on a lined baking sheet for about 10 minutes. After I’m done cutting out the cookies, I fold the excess dough up into a ball and roll out again. These won’t be as pretty, but they’re great for nibbling on! Love this idea! Great use of the extras everyone always has!